Mardi Gras. A day of excitement and anticipation. For those who observe Lent as a religious experience, the beginning of a time of reflection and denial. In cities where debauchery is the order of the day, Fat Tuesday promises the mother of all binges. 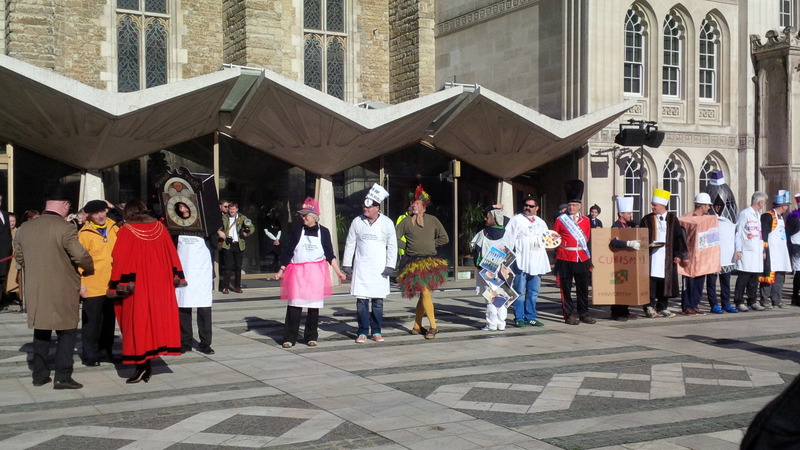 In London, (and throughout the UK), where Lent begins in a tamer fashion, the day is still known by its religious title, Shrove Tuesday, or more affectionately, Pancake Day. Why….because pancakes are the most fun way to use up all that flour and butter and sugar that become forbidden during Lent….and if you can make ‘em, you can race ‘em. 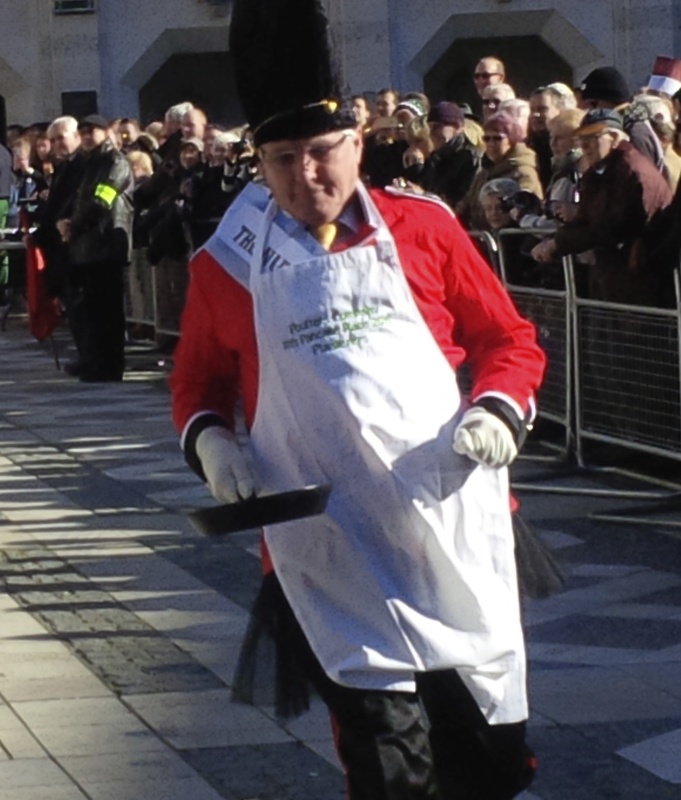 For me, today means the annual Livery Company Pancake Races. 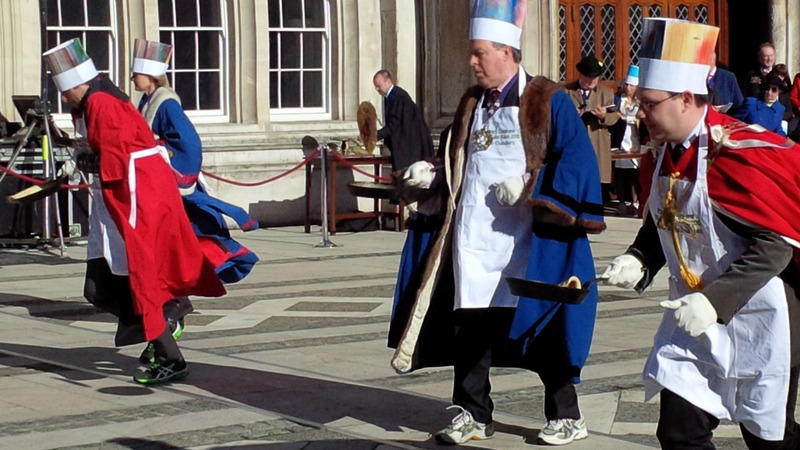 “Livery Companies?,” I hear you ask. 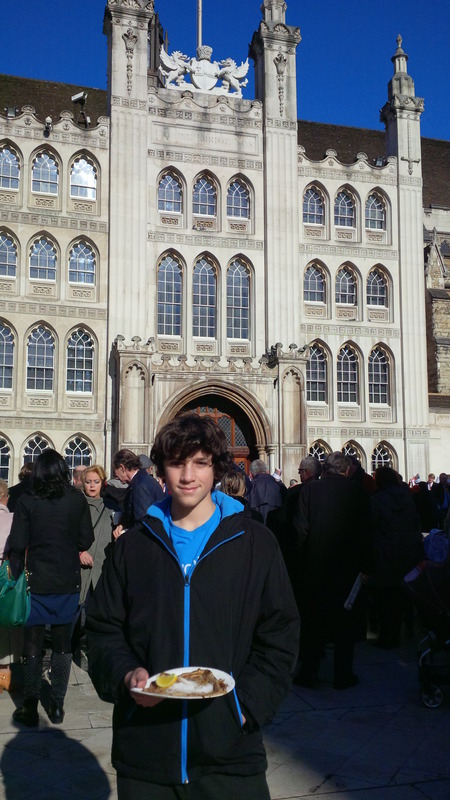 Well to continue the history lesson, briefly, Livery Companies are guilds, some dating back to medieval times, that managed to endure, as most of those on the continent did not, by converting themselves from trade organizations to philanthropic and social ones. And, since the early 20th century, new ones have been created: Environmental Cleaners and Management Consultants, to name two that were represented today. Along with Clockmakers, Farriers, Poulters, the Butchers and many others. 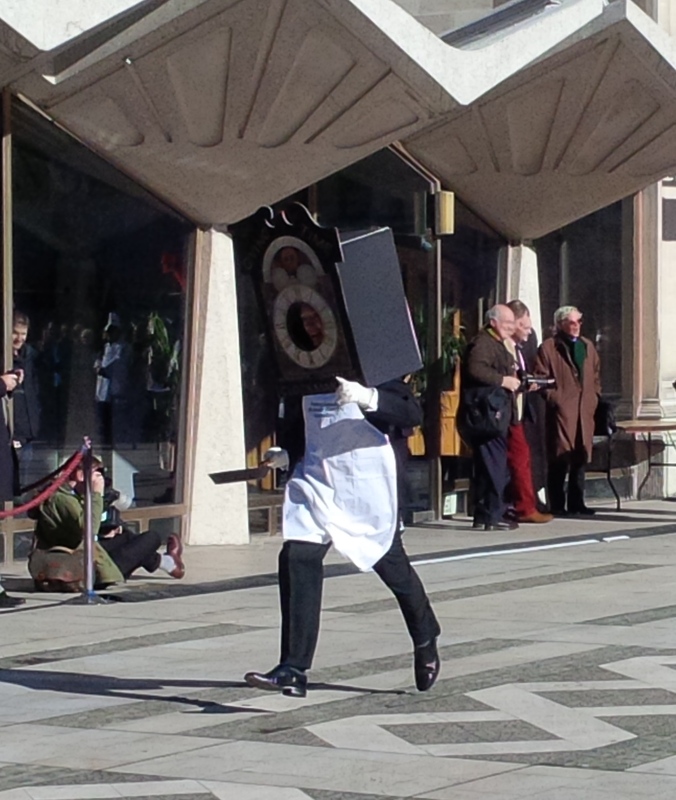 I could easily write a 100 page blog on all the zany things these livery companies get up to…but it’s Pancake Day. 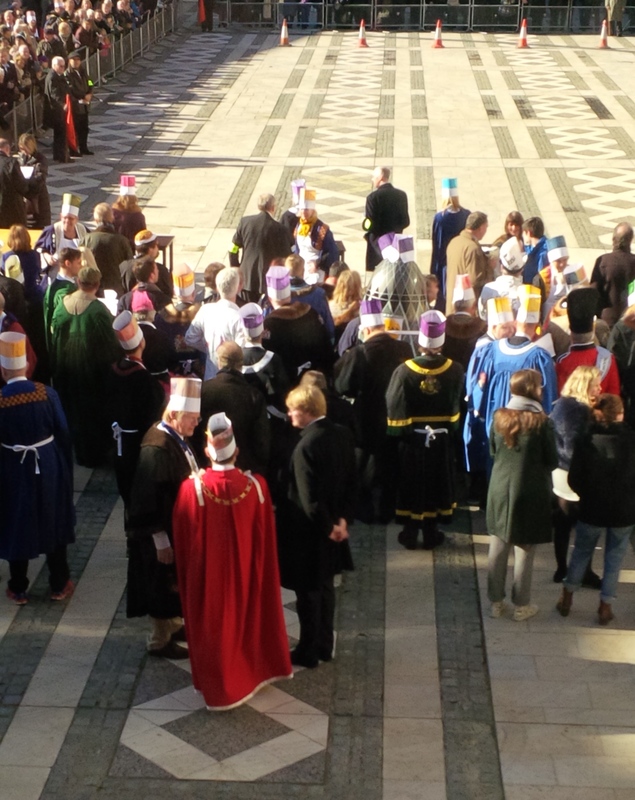 By-standers include livery company members, proud family supporters, bemused tourists and bored office workers who wander by for a gawk. And everyone is throughly entertained. As well they should be. Because tomorrow is sack-cloth and ashes. Or not.